Run a search in Google for “Hillary Clinton and mentoring” and you’ll find a lot of articles about the many mentors Clinton has had throughout her life. These range from her liberal Methodist minister, to her mother Dorothy Rodham, to her conservative high school history teacher, and beyond. Of course, most of these articles are written for the purpose of linking Clinton to a particular influence or ideology for some underlying political reason. Regardless, the fact that she’s had so many mentors speaks a lot to how she’s been able to become a major player in international politics (from influential First Lady, to two-time senator of New York, to Secretary of State during President Obama’s first term); but her dedication to the importance of mentoring is also pretty clearly demonstrated in her public policy. Like Republican candidate Carly Fiorina, Clinton’s most recent initiatives tend to focus on empowering women. Unsurprisingly, Clinton’s initiatives take a global viewpoint. TechWomen: Aims to help women in the Middle East and Africa to pursue technology based careers by providing mentors from the Silicon Valley and San Francisco in the US. Women in Public Service Project: A part of the Global Women’s Leadership Initiative, which mobilizes women through public service. Mentoring is a part of the initiative’s learning and leadership development goal – and one for which Insala’s own Judy Corner delivered a networking and mentoring workshop. Global Sports Mentoring Program: A collaboration between the State Department and espnW, this initiative seeks to identity women worldwide who are emerging leaders in sports and match them with American women who are leaders in this fields to nurture the next generation of women in sports. 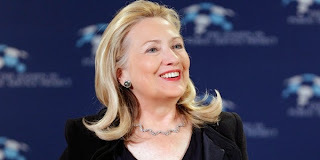 But like Fiorina's tendencies towards grassroots leadership, Clinton stresses that envoys will also be employed to talk and play with girls and women one-on-one.